A travel in Southeast Asia means endless choices of delicious culinary delicacies, historical places and rich cultural heritage. Thailand and Vietnam are among these Asia destinations that make for a great vacation with friends or family. Sit back and relax as we show you a list of Asia attractions that are ideal for a quick escape from reality. Chiang Mai was once the capital of the Lanna Kingdom. A walled historical city that retained most of its historical sites, this countryside also holds a picturesque view of Northern Thailand. The natural wonders of Chiang Mai are a pleasant sight to see when you travel up north in Thailand. Boasting adventurous trek to the mountains or cultural visits to its hill tribes, a trip to Chiang Mai is definitely a refreshing escape from the busy, chaotic everyday life. 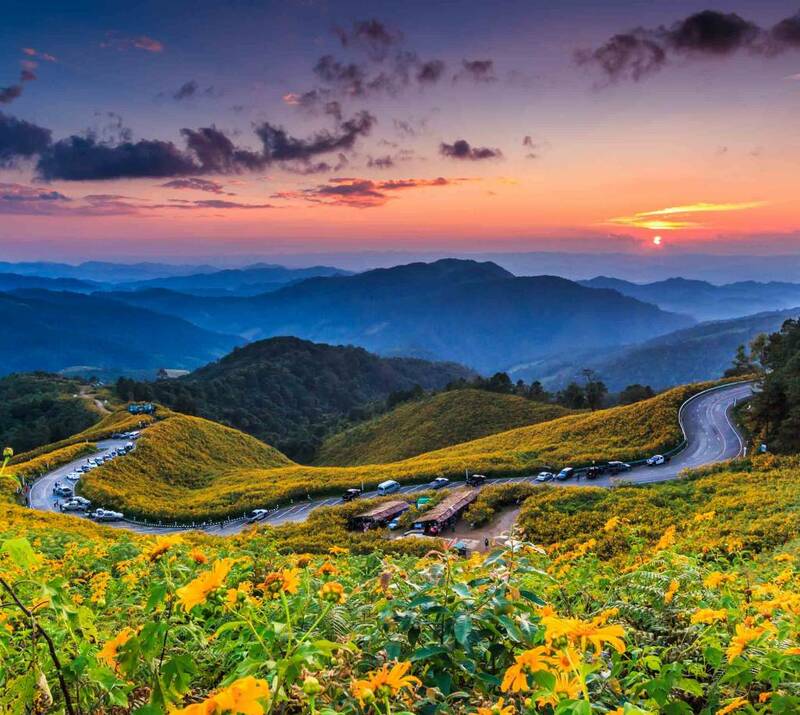 For relaxation, top places to go to include Thailand’s highest peak – Doi Inthanon where you can find the Doi Inthanon National Park. It is home to different types of species which are mostly found just here in Chiang Mai. Next destination to visit is the Doi Pui which is 1,685 meters above sea level. It is known for its picturesque waterfalls. 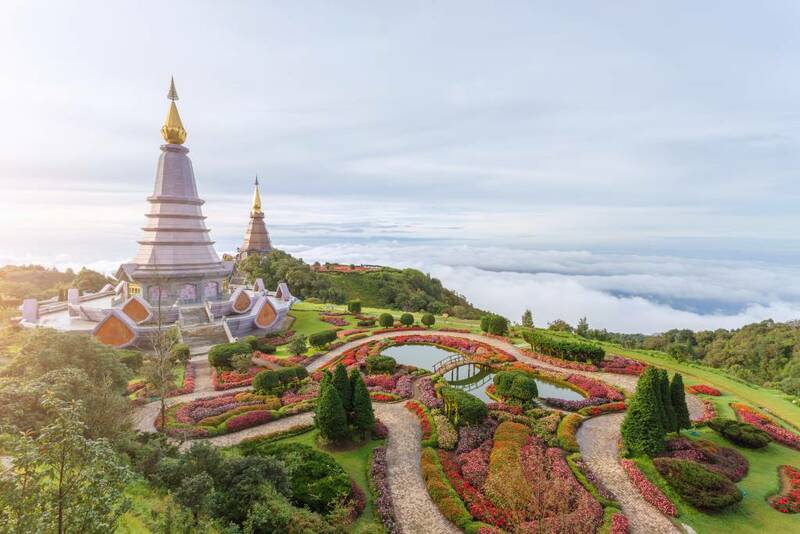 Located near the Thailand-Laos-Myanmar border and among the lush hills and mountainous beauty of Northern Thailand lies the city of Chiang Rai – one of the country’s hidden gems. If you’re in for some morning or afternoon stroll in an exotic yet beautiful museum, check out Black House. 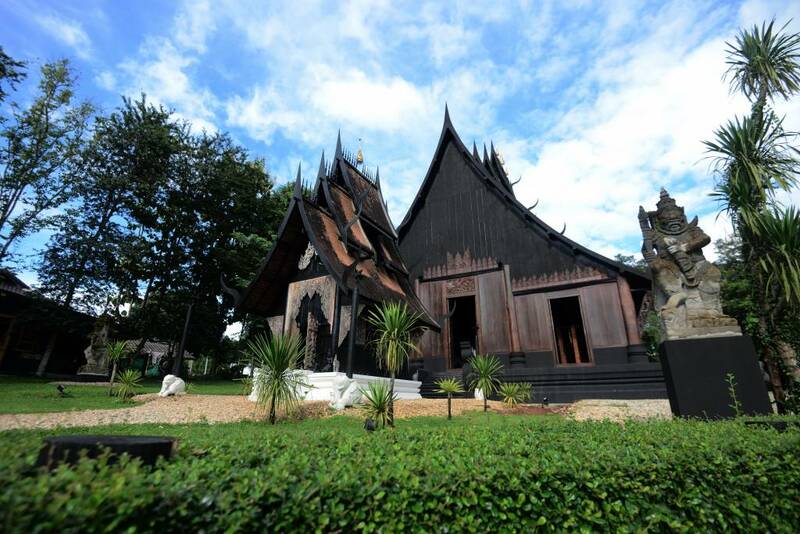 Located 30 minutes from White Temple, Black House in Chiang Rai is not a religious attraction but a display of unique artworks. It was the house and studio of late Thai artist Thawan Duchanee which is now a museum to pay homage for his legacy. Right before you get to Chiang Mai, you will find yourself in the city of Lampang. Often overlooked by tourists but this city boasts several attractions such as Doi Khun Than National Park which has a lush jungle as well as pinery. You may also add Chae Son National Park – one of the ultimate vacation spots in Lampang. 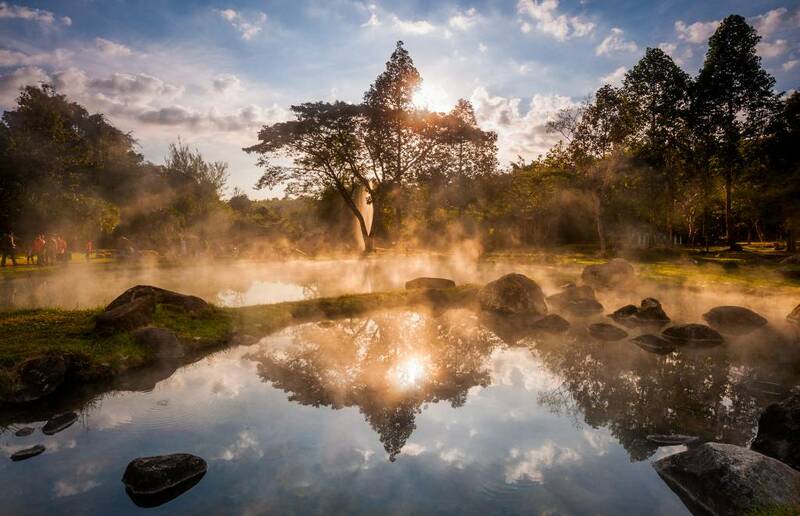 Here you can relax in a 73 degree Celsius hot spring overlooking a stunning rocky terrain. A travel in Southeast Asia – more precisely in Thailand includes an extraordinary display of stunning landscapes and natural wonders. 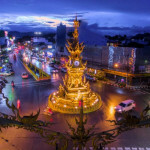 Another destination up north in the Land of Smiles is the city of Mae Hong Son. When you travel to Mae Hong Son, you’ll experience the beautiful fusion of Burmese and Thai culture which is prevalent to this city. It is popularly known for its dense forest and valley, and can be easily reached from the city of Chiang Mai. If you want to experience relaxation, Pai is the perfect destination to go to. It’s a small town with beautiful natural surroundings. The people here enjoy a slow paced life and offers attractions that include a resort where you can fish for piranhas or enjoy a dip in a waterfall. 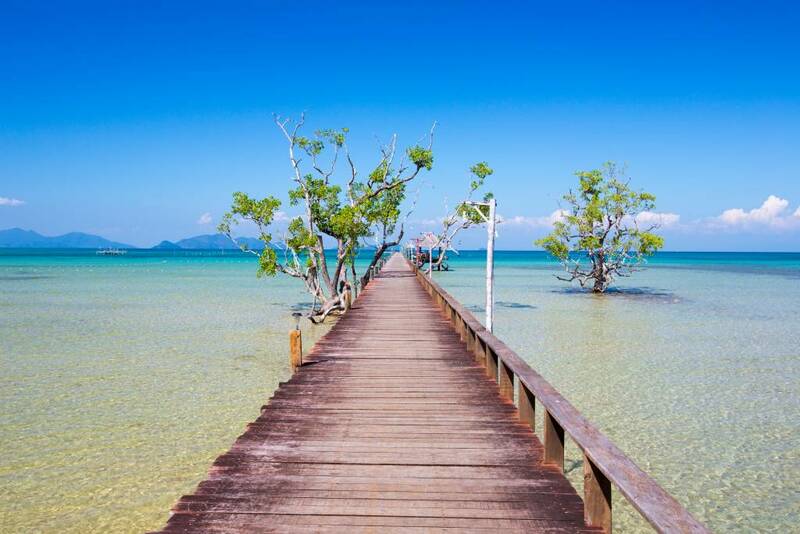 Bordering Khao Ban That and Cambodia, Trat is a province located at the eastern part of Thailand. During the earlier days, it was known to be a major stop for sailors but today, it serves as the launching point for tourists to 52 islands. Included in these islands are Koh Kut, Koh Mak and Koh Chang. When you make your way to this city, you’ll find a neighborhood full of wooden shop houses. Trat is also known for its bustling night market where foodies consider as a paradise. Koh Samui is one of Thailand’s tropical destinations that offers a wide range of attractions for entertainment, relaxation and culture. Although palm-fringed beaches are the stars of Koh Samui, one of the popular places to visit in the island is the Big Buddha Temple which can be seen even from far away distance. 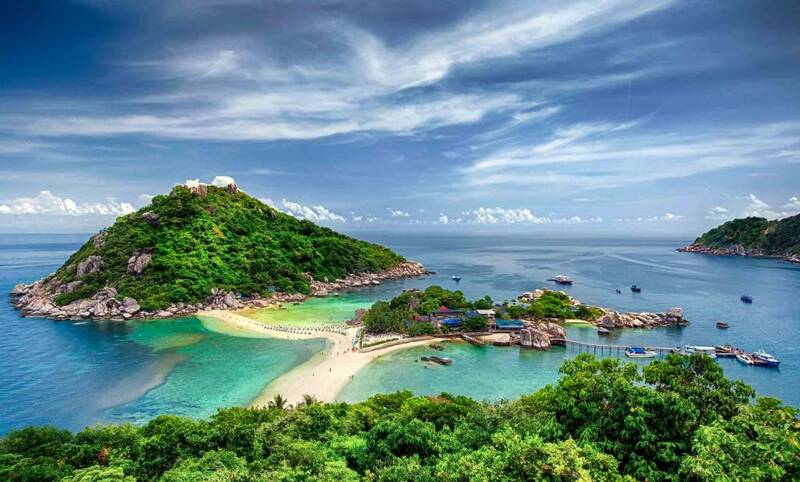 Koh Tao, a famous attraction – which means Turtle Island is the diving destination in Thailand. Enjoy clear blue waters and soft powdery sand beaches as you swim, dive and lounge in the picturesque Koh Tao. Another stunning destination you can visit is the island of Koh Nang Yuan, perfect for a day trip thanks to its small size. 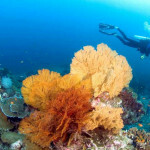 Snorkeling and diving are fun and relaxing activities you can do while on the island. Vietnam is another famous go-to destination for tourists who travel in Southeast Asia. Danang – a city in Vietnam offers a wide range of attractions from man-made structures, century-old pagodas to tropical beaches and outstanding mountain views. 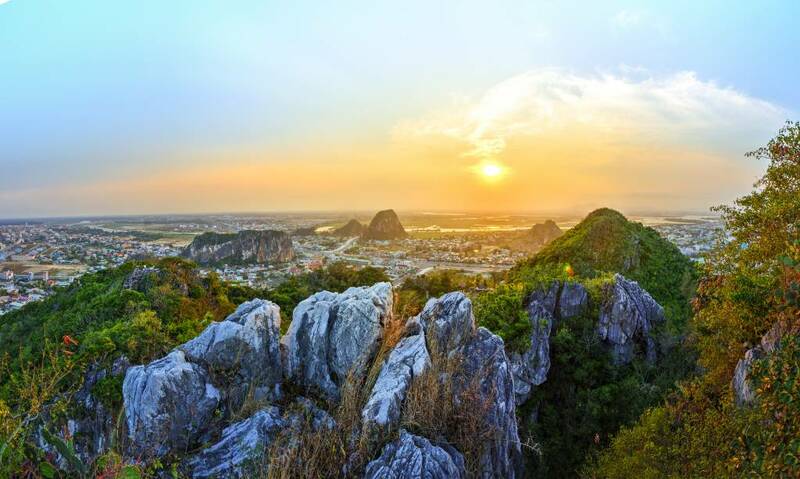 Marble Mountains which are composed of marble hills and limestone are usually at the top list of travel itinerary in Danang. Dotted across the mountains are Buddhist sanctuaries that are temples and 17th– century old Buddhist sanctuaries – places where locals and tourists can pray. Bangkok Air has flights directly from Bangkok to Danang so you can easily fly to this destination. An island paradise off the coast of Cambodia, Phu Quoc is a peaceful tropical destination that is 50kms from the mainland of Vietnam. 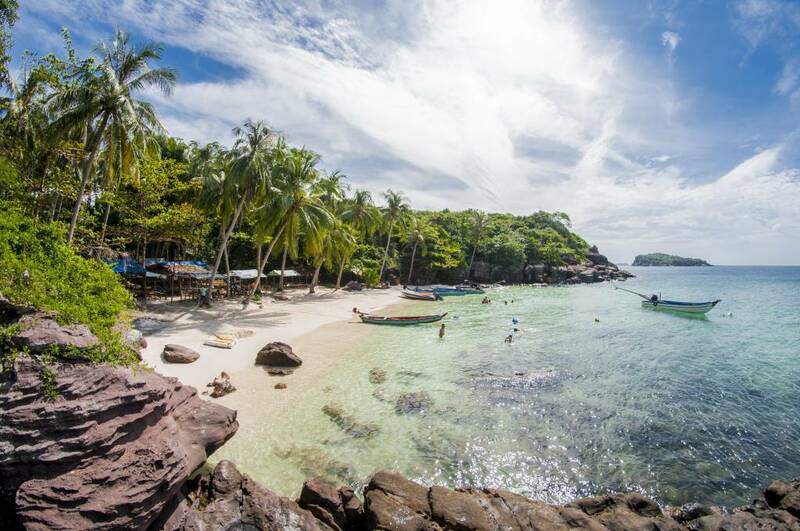 Well-known for stunning beaches and wonderful natural environment, most of Phu Quoc islands are devoted to the National Park and its marine environment which provides tourists plenty of places to visit for an enjoyable trip with family or friends. 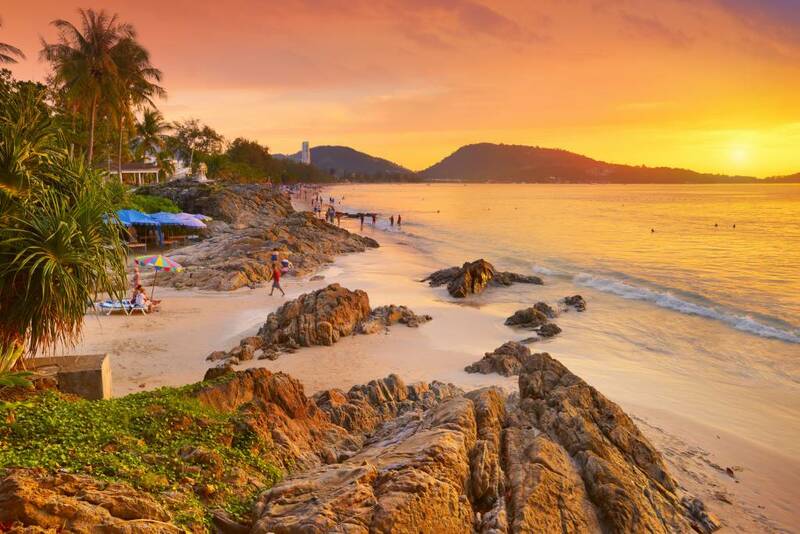 While it is well-known for its lively party scene, Phuket is also famous for fine white sand beaches dotted with palm trees. The surrounding lush greenery and natural beauty in Phuket make it one of the top destinations for a travel in Southeast Asia. Whether you’re in for a night out to party or some quiet, relaxing time alone with your loved one, Phuket has everything in store for you. Characterized by lush greenery, mangrove forests, limestone cliffs and powder-like sand beaches, Krabi falls not far behind from Phuket as a travel destination loved by many tourists. The exotic wildlife that comes with incredible natural attractions make Krabi an ideal destination in Thailand. When you’ve made your way to Krabi, be sure to include Railay beach and caves on your travel itinerary. This part of Krabi is among the sought-after beach areas where one can experience tranquility from the surrounding lagoon, limestone cliffs, caves and viewpoints. 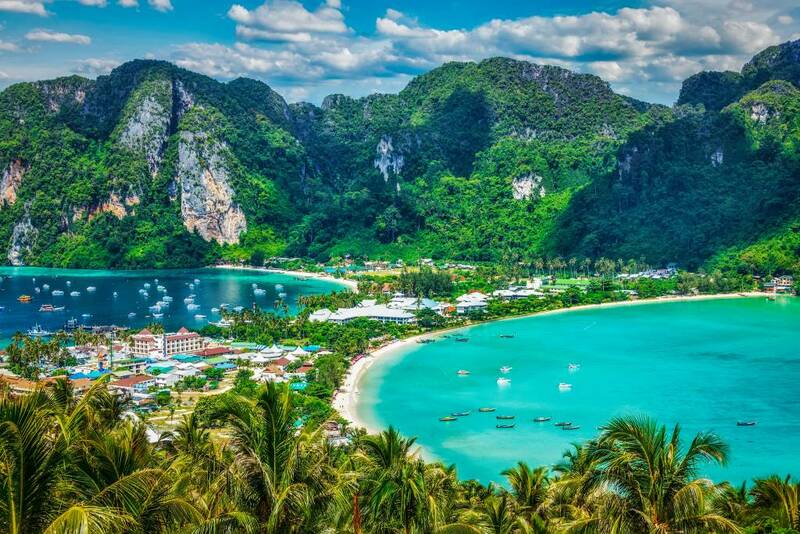 About 90 minutes from Krabi is a famous island that’s been seen in numerous movies – Thailand’s Phi Phi island. Its laid-back atmosphere is a distinct charm of this paradise destination. It’s made up of six islands with Phi Phi Leh and Phi Phi Don as the two main islands. The latter is free from human inhabitants while the former has no roads – just bare islands of lush tropical scenery and ocean views. Are you ready to escape reality with any of these exciting destinations? Plan your travel adventure today and visit Bangkok Air to check out flight booking offers to any of the locations!